[tps_footer]Lead pair of the upcoming film ‘Fitoor‘, Aditya Roy Kapur and Katrina Kaif are on a promotional spree. Aditya and Katrina visited Ahmedabad’s Karbavati Dental College. The lovely pair was greeted by an enthusiastic crowd of budding dentists. 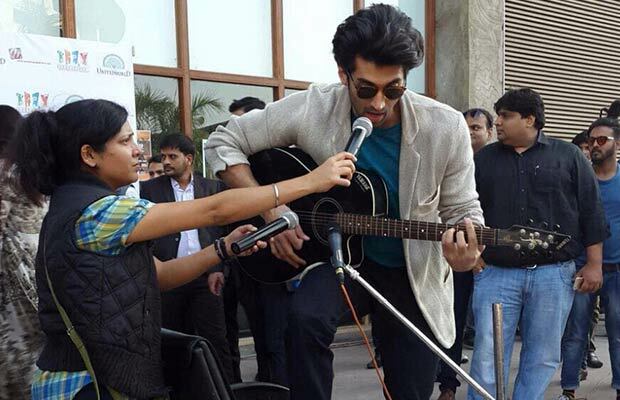 Aditya strummed his guitar and sang the title track from the film-‘Fitoor‘ and left the crowd completely mesmerized. 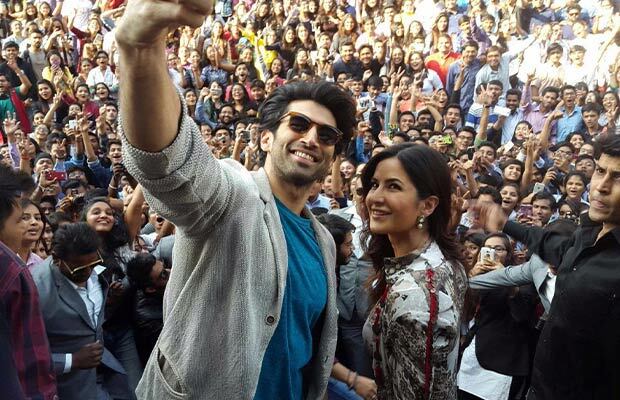 Aditya and Katrina also took a selfie with the crowd present. The Fitoor team had a great time interacting with their fans and had a lot of fun. Post this fun filled session, Aditya and Katrina headed to a local mithai shop to gorge onto the local flavors and binged on some Jalebi and Fafda. This was one eventful outing for the Fitoor duo as the afternoon was spent having a fun filled interactive session with the students, followed by feasting upon local flavors. Previous articleWatch: Ranbir Kapoor-Katrina Kaif’s Secret Meeting Post Break-Up!